Sunday November 16th. 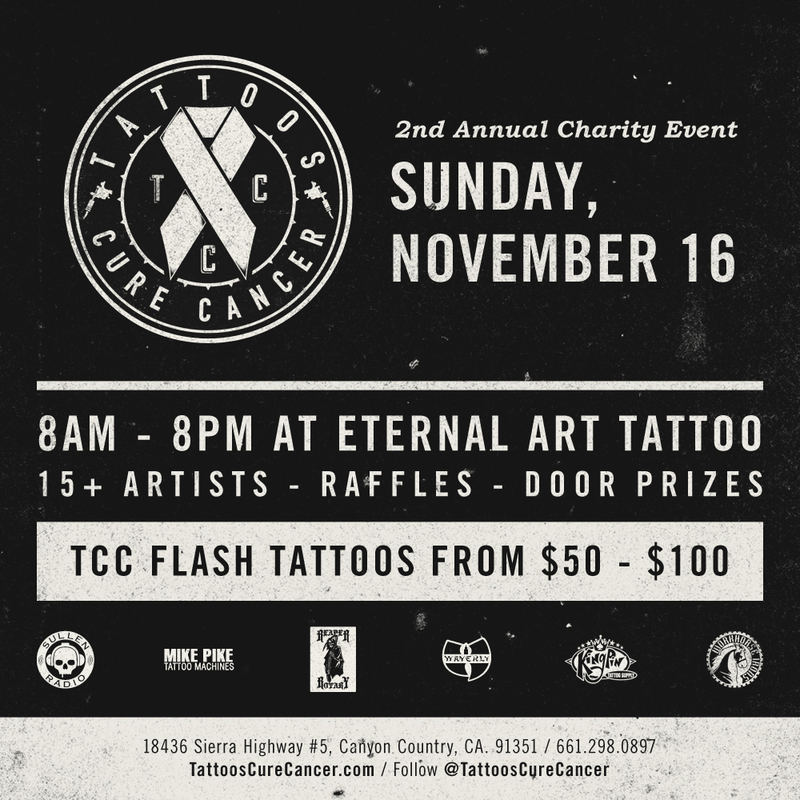 15 Tattoo artists from all over California will converge on Eternal Art Tattoo and donate their time from 8:00 am to 8:00 pm to raise money for a cure for cancer. There will also be special guests and raffle prizes. There will be a variety of flat rate tattoos to choose from at the $50.00 and $100.00 price ranges. Come out and bleed for a cure and help us raise money to help those struggling with this horrible disease. Tattoos Cure Cancer merchandise will be available as well as merchandise benefitting Shay Strong. A non profit that gives care packages to children undergoing cancer treatment. So come get tattooed, buy some stuff, and show your support. First come, first served.